DDJ-SX The Pioneer DDJ-SX is an advanced performance DJ controller designed specifically for the Serato DJ Software. 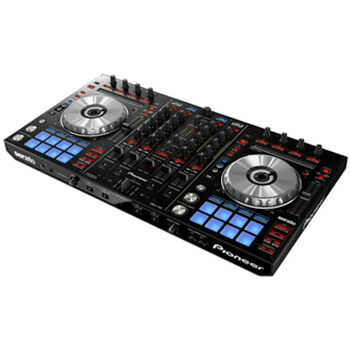 Pioneer’s DDJ-SX Serato based DJ controller utilizes the software as the basis for its configuration and ergonomic design, taking advantage of its features and integrating special trigger pads and controls. Pioneer also implemented larger jog wheels for precise mixing and scratching, multiple inputs for expandability, and 4-channel mixing flexibility. The DDJ-Sx comes supplied in a flight case and includes all the necessary cables for this product as part of the hire.